Get your guests in the party mood with this incredible Bride To Be Foil Banner. It's a great way to decorate the venue for your big night! The shiny banner is 7.6 metres long. 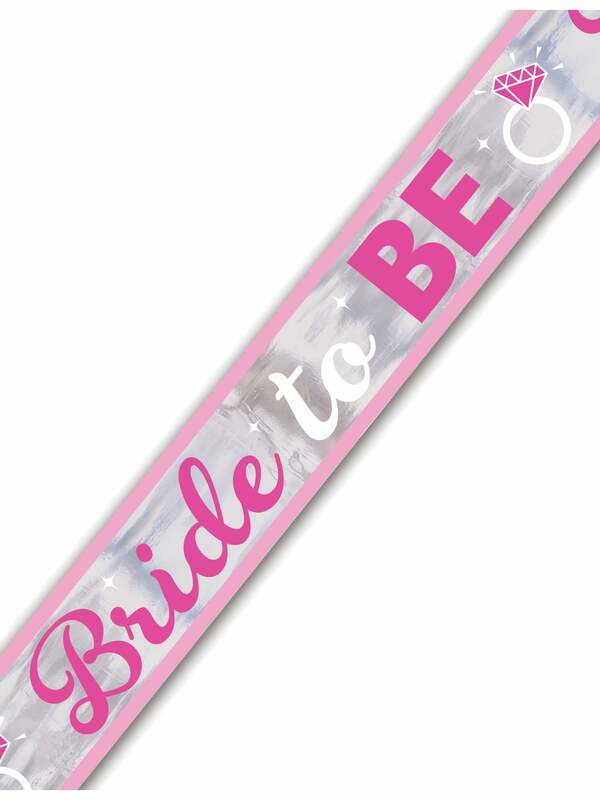 It has a silver background with a pink border, and pink and white text that reads 'Bride to be'. Be sure to check out the rest of our decorations, such as these Hen Night Balloons With Cocktail Glasses and this Hen Party Table Confetti. Don't forget that Hen Party Superstore offer next day delivery, for your last minute party planning needs!